Join Us for Training on the GlobalMeet Webcast Platform! GlobalMeet Webcast offers a variety of recorded trainings, which are available for you to access at any time! Have questions while watching a training? Use the Q&A to contact a GlobalMeet Webcast expert. 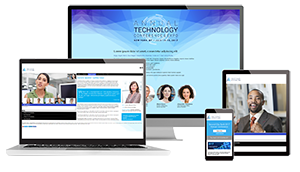 GlobalMeet Webcast also offers live small group trainings with a product expert that allow you to ask questions and receive one-on-one coaching. This introductory training will provide a high-level overview of the GlobalMeet Webcast platform and is designed to get you up and running with your account. Learn to navigate the platform, create and deliver presentations and access reporting data. Have questions on GlobalMeet Webcast? Need additional personalized training? Join a GlobalMeet Webcast expert for a live session where you will be able to ask questions and get answers and coaching. The Event Setup Training will focus on setting up and managing your events using your GlobalMeet Webcast account. This is a recorded training available for on-demand viewing. If you have questions while watching the training, use the Ask a Question box to contact a GlobalMeet Webcast expert. The Live Event Delivery Training will focus on using the Live Studio to deliver your live presentations. This is a recorded training available for on-demand viewing. If you have questions while watching the training, use the Ask a Question box to contact a GlobalMeet Webcast expert. The On-Demand Studio/Sim-Live Studio Training will focus on how you can use the On-Demand Studio or Sim-Live Studio to create events from scratch or edit your archived events. This is a recorded training available for on-demand viewing. If you have questions while watching the training, use the Ask a Question box to contact a GlobalMeet Webcast expert. The Guest Presenter Training will cover how to access a Guest Administrator account, the different Guest Admin account types and how to use each option. This is a recorded training available for on-demand viewing. If you have questions while watching the training, use the Ask a Question box to contact a GlobalMeet Webcast expert. The Report Training will focus on running reports on your GlobalMeet Webcast events. This is a recorded training available for on-demand viewing. If you have questions while watching the training, use the Ask a Question box to contact a GlobalMeet Webcast expert. The Survey Training will focus on the survey capabilities of the platform. This is a recorded training available for on-demand viewing. If you have questions while watching the training, use the Ask a Question box to contact a GlobalMeet Webcast expert. The Certification Training will focus on the certification, grading and exam capabilities of the platform. Certificate setup and customization is also covered. This is a recorded training available for on-demand viewing. If you have questions while watching the training, use the Ask a Question box to contact a GlobalMeet Webcast expert. The Template Training will focus on how to create and manage template in your account. This is a recorded training available for on-demand viewing. If you have questions while watching the training, use the Ask a Question box to contact a GlobalMeet Webcast expert. The Portal Training will focus on how to create and manage portals in your account. This is a recorded training available for on-demand viewing. If you have questions while watching the training, use the Ask a Question box to contact a GlobalMeet Webcast expert. The Screen Share Training will focus on how to share your desktop during a live broadcast. The user experience will be reviewed. This is a recorded training available for on-demand viewing. If you have questions while watching the training, use the Ask a Question box to contact a GlobalMeet Webcast expert. The Simulated Live Training will focus on how to create, schedule and manage simulated live events. This is a recorded training available for on-demand viewing. If you have questions while watching the training, use the Ask a Question box to contact a GlobalMeet Webcast expert. The Advanced Video Bridge Training will focus on how to connect and broadcast an event using the Advanced Video Bridge. This is a recorded training available for on-demand viewing. If you have questions while watching the training, use the Ask a Question box to contact a GlobalMeet Webcast expert. The Webcam Video Bridge Training will focus on how to connect and broadcast an event using the Webcam Video Bridge. This is a recorded training available for on-demand viewing. If you have questions while watching the training, use the Ask a Question box to contact a GlobalMeet Webcast expert.